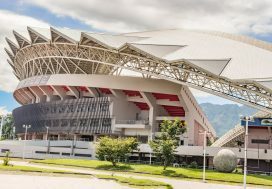 Costa Rica is often considered the ideal vacation spot because of the variety of activities you’ll find in just a short trip. You’ll experience endless outdoor adventure opportunities, beach relaxation, cultural art and dance, and have access to delicious and healthy foods. 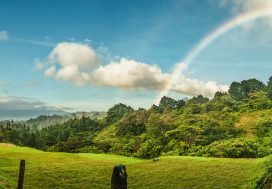 It’s no mystery why many vacationers later return to make Costa Rica their full-time home base. We encourage the short-trip vacationers to experience every aspect of Costa Rican life, from the stunning nature to the vibrant culture, but remember not to leave educational tourism off your check-list. Costa Rica has some incredible museums that are both educational and interactive. Spending a couple hours at one of the museums below will ensure that you understand more of the history and culture of this beautiful country. 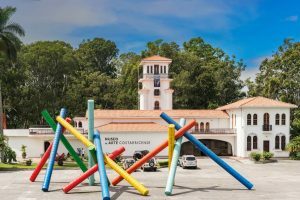 These museums will show you a side of Costa Rica that a short vacation won’t offer, and they’re all colorful and interesting enough to hold the attention of your entire tour group. 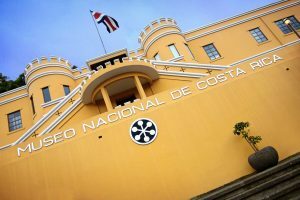 The National Museum will give you thorough insight on the history of Costa Rica. Located in the capital city, directly across from the legislative assembly, an hour at this museum will tell you about Costa Rica’s Pre-Columbian history, independence from Spain, and current scientific investigations over local natural and cultural heritage. The building itself is a piece of history, and still sports hundreds of bullet holes on its exterior from times of war. You will also enjoy beautiful courtyards and stunning views of the valley region. The Popular Culture Museum, occupying an ex-presidents house, will teach you all about culture from the 19th century to present day. On the weekends, they have story-telling and traditional music, and the entire museum can be interactive if a tour is scheduled ahead of time. You’ll be able to better understand the hardships faced by past generations of Costa Ricans and how that has shaped today’s society. Be sure to receive a tutorial on how to hand-make corn tortillas while you’re there! 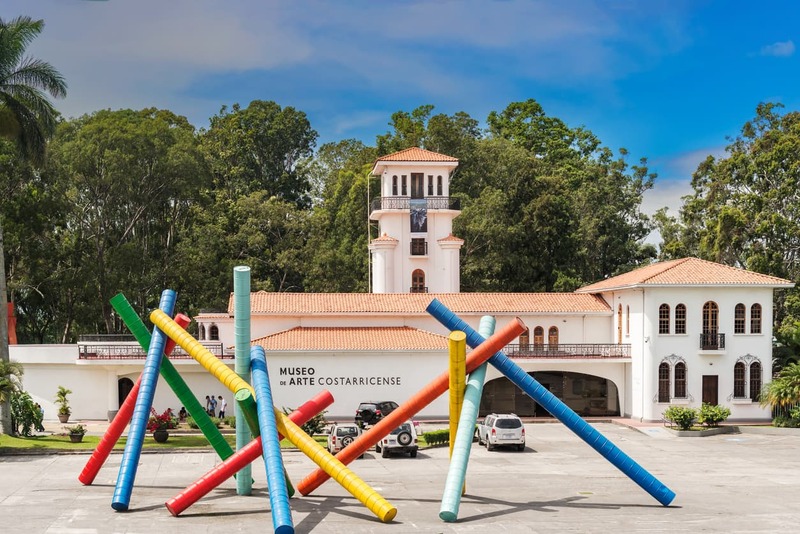 Formally the country’s busiest airport, the Costa Rican Art Museum features some of the most sought-after pieces from Costa Rica’s renowned artists. You’ll see traditional paintings, prints, wooden sculptures, woodcuts, and relics, along with contemporary pieces. You’ll experience over 6,000 pieces, and best yet, this museum is free for children and students, and everyone enters free on Sundays. La Gavilana is more than just a museum. Here you will visit art galleries, join an interactive herbs and food tour, and find some great art pieces to bring back home with you. This is also a good base to plan outdoor activities and book certified tour guides. You’ll be able to experience an educational tour and an outdoor adventure with this single stop. 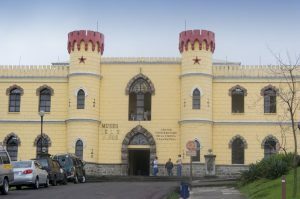 This Children’s Museum is the first of its kind in this region, and located in an old military prison, it is both a promise of peace and an exciting, castle-like adventure. The museum is appropriate for people of all ages, but is especially exciting for children as it is 100% interactive. Your family will travel through time, visit a milk farm, direct a symphony, survive an earthquake, travel to space, and learn cultural dance in just one exciting afternoon. Animal and nature lovers will absolutely adore this stop on your itinerary. You’ll learn about the troubles facing the indigenous turtle populations and what you can do to help them. Not only will you see a short documentary on turtle life, the guide will be able to explain the Caribbean culture in this region as well. You will learn about the Caribbean region, turtle life and safety, and will even have the chance to sponsor a turtle at the end of your visit. This is a great trip to teach your family about wildlife populations and how to support the ecosystem they are enjoying.